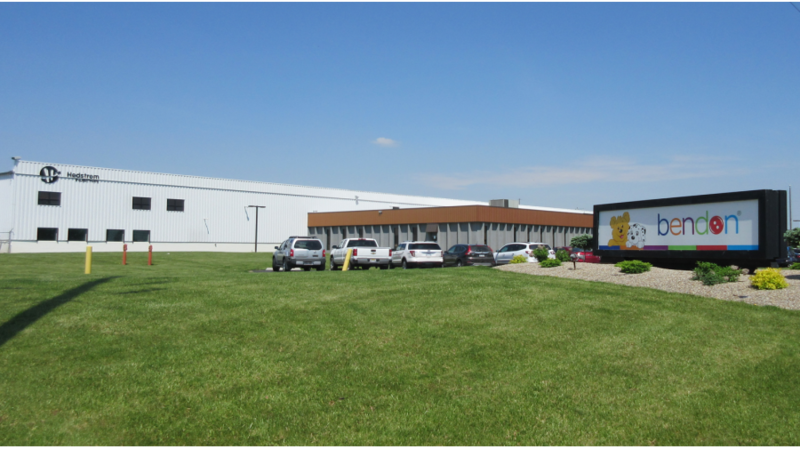 For sale is the 100% leased, fee simple interest in the 250,867 square foot industrial facility featuring Northeast Ohio Multi-Tenant Industrial, Snyder’s-Lance Inc. food-grade distribution warehouse, Hedstrom Plastics and Hedstrom Injection, in Ashland, Ohio. The property is being offered to qualified investors at an attractive 8.75% capitalization rate on existing income, providing a strong investment with a solid tenant history. The Hedstrom companies account for 54% of the building’s GLA and feature seven years in remaining lease term. Additionally, the property is being offered at an attractive price-per-square foot of $40.46, which is far below its current replacement value. In addition to providing an investor with a stable return on the investment, the property features a buildable 6 acre site to the west for future additional income. No price was placed on this land in order to provide upside to the buyer. Notable manufacturers and retail tenants in the area include Ball Bounce and Sport, Inc., Fresenius Kidney Care, Snyder’s Lance, Barbasol, McGraw Hill, Bookmasters, Conery Manufacturing, McDonald’s, Chase Bank, Rite Aid, Burger King, Taco Bell, Wendy’s, PNC Bank, Walmart, Home Depot, Ashland University, and many others.